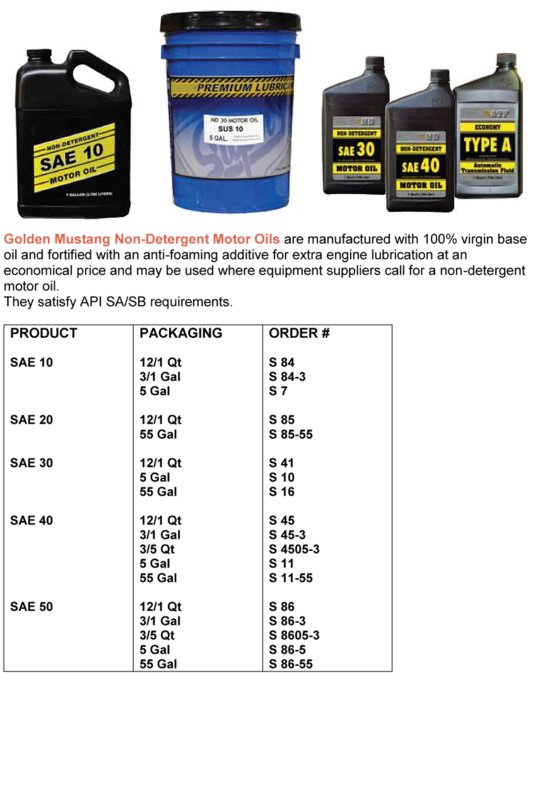 Golden Mustang GF-5/SN Synthetic Blend Motor Oils use newly developed additive technology and formulations to provide among the highest levels of performance and protection ever offered in passenger car motor oils (PCMO). 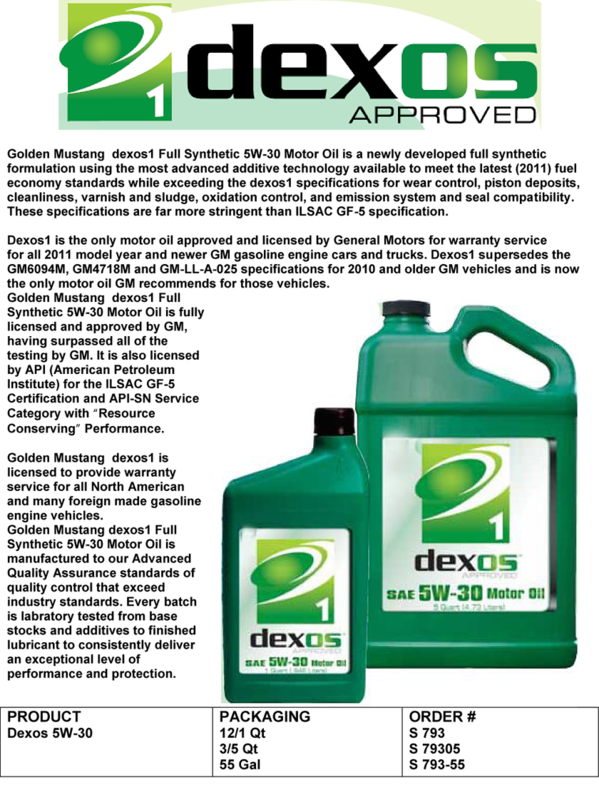 They meet the latest (2011) fuel economy standards while exceeding the car manufacturer’s new ILSAC GF-5 standards for wear control, piston deposits, cleanliness, varnish and sludge, oxidation control, and emission system and seal compatibility. In repeated testing over the range of tests and variants, Golden Mustang demonstrates among the lowest rates of wear in the industry for synthetic blend PCMOs. 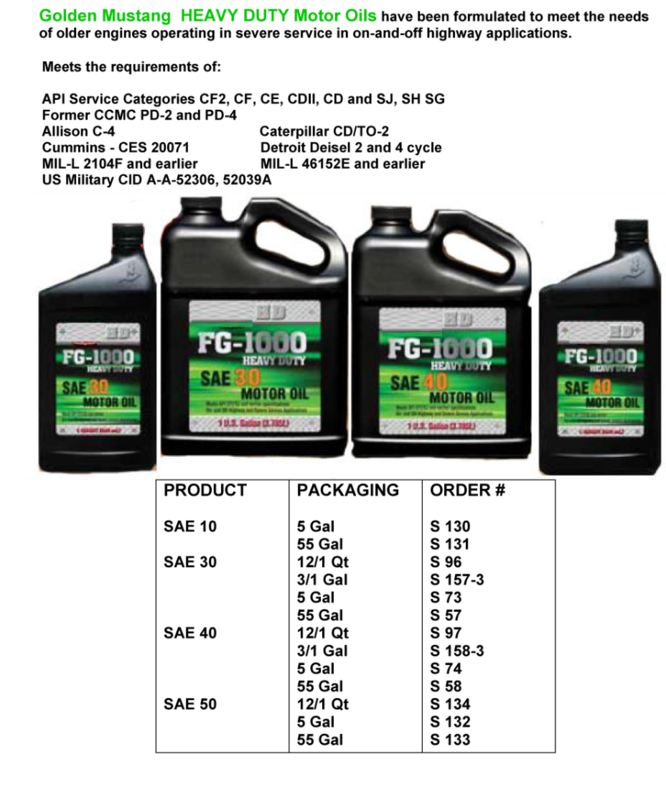 Golden Mustang GF-5/SN Motor Oils are synthetic blends in grades 5W-20, 5W-30, 10W-30, 10W-40 and 20W-50 and are licensed by API for the SN Service Category with ILSAC GF-5 Resource Conserving certification. 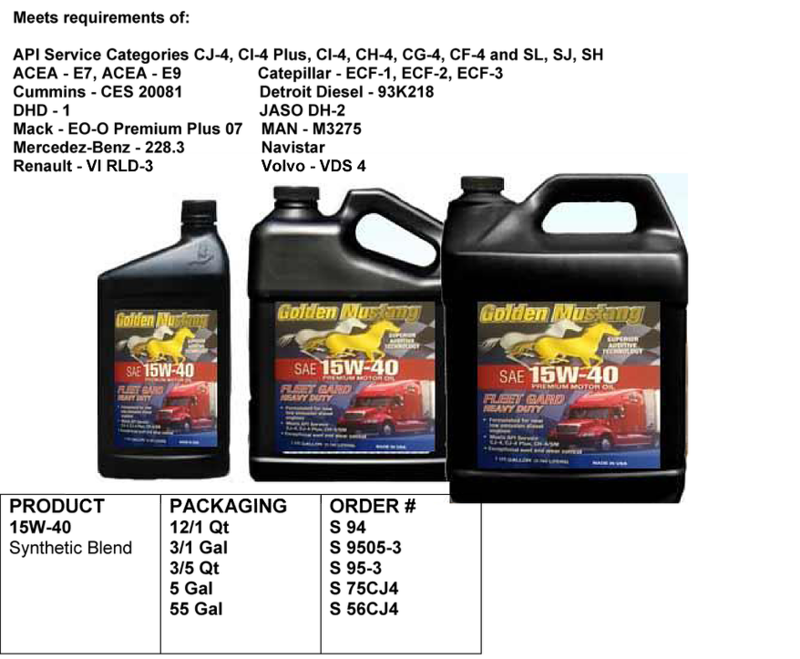 Golden Mustang SN Motor Oils in grades SAE 30 and SAE 40 are formulated with conventional motor oils. They are licensed by API for the SN Service Category. 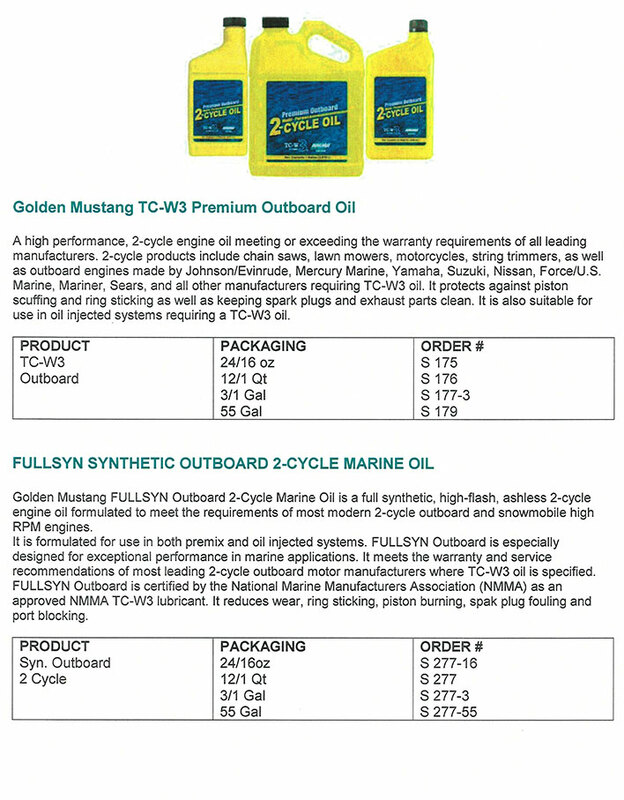 Golden Mustang HEAVY DUTY 15W-40 CJ-4 is the latest generation premium heavy-duty engine oil that meets or exceeds the service requirements of virtually all diesel engine manufacturers; both 2007 emission compliant and older engines, as well as new engines using SCR and EGR systems for 2010 emission compliance. 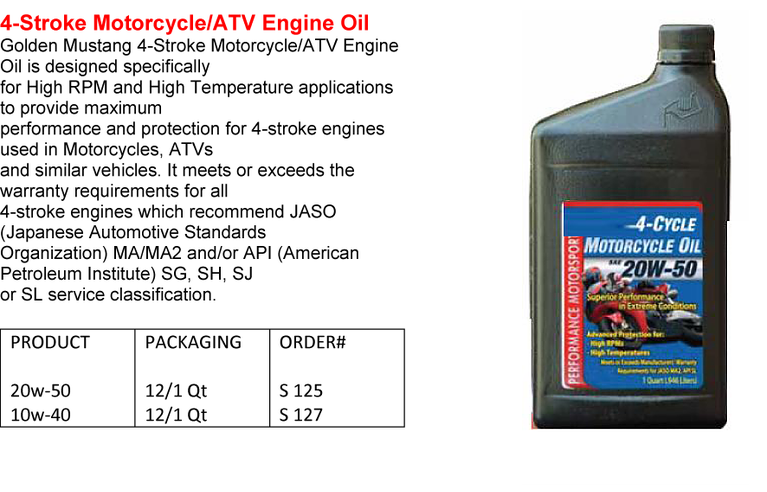 It is suitable for virtually all on-highway and off-highway service applications. © 2016 Golden Mustang Petroleum Corporation.